Nintendo talked a lot about the Wii U yesterday, but there was one big topic they didn't cover: the Miiverse, the console's version of a social network. Turns out you'll see it as soon as you boot up the Wii U. In fact, according to Nintendo of America president Reggie Fils-Aime, who sat down with us at Kotaku's offices this afternoon, the machine's login screen is one big social network. "When you turn on your Wii U, let's assume that you're connected," he said, "so when you turn on your Wii U what you're gonna see is that home screen with all of the Miis and the Miiverse community, and what's trending, kind of the key comments that have bubbled up through the system. So as long as you're in a connected environment, that's the first screen you see." Sounds like a Facebook newsfeed, doesn't it? 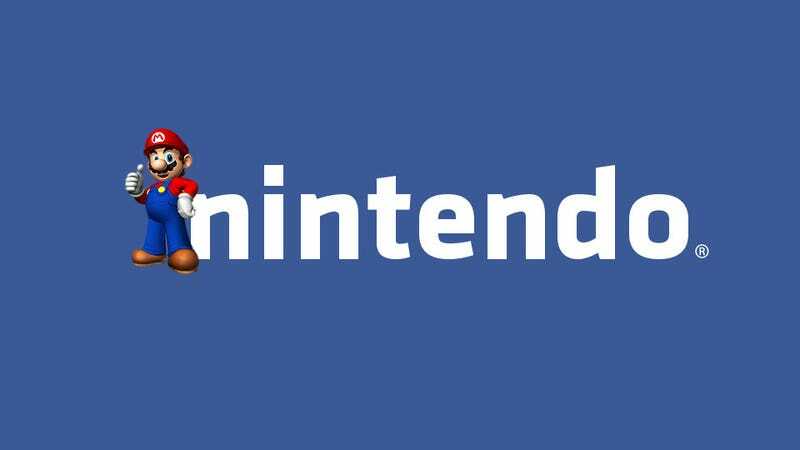 Fils-Aime says the community of people will be curated by both you and Nintendo, not unlike your Facebook or Twitter. Seems to mesh well with Stephen's theory that Nintendo is trying to create its own social networking giant. So who are the Miis invading your homepage? "These are your friends, these are people who have high reputation within the site, and so we've curated for you to see those messages," Fils-Aime said. "So like Reggie Fils-Aime?" I asked. Could he be making appearances on our systems? Sure. "We could also do some messages directly from Nintendo to that point," he said. In addition to the Miis, Fils-Aime says there will be "what [they're] calling 'tiles.'" "These'll be the key games that the community are playing, buzzing about," he said. "Because of the deep linkage through Nintendo TVii with video services, these could also be movies. They could be TV shows, could be a range of different content, but it's bubbling up through the community, with the exception of— I think the maximum of three tiles that we might be sending in terms of Nintendo thinking that something's interesting." Fils-Aime: "We have spent a lot of time and invested a lot of money to get our connected experiences right." So that's the start-up screen. To get to the rest of your content—like the game in your drive, the newly announced Nintendo TVii and the digital eShop—you'll have to hit the home button. There are no channels on Wii U like there were on the Wii; instead you'll have "options for where you wanna go from there," Fils-Aime said. You could jump straight to Netflix, for example, or go into the separate Miiverse application for more social options. This Miiverse application won't resemble Nintendo TVii in terms of interface or options, but it will let you send messages, see what your friends are doing, and recommend games to the people you know. As we've seen, New Super Mario Bros. U uses the Miiverse in an interesting way: as you walk through the world map, you'll see messages from other people offering tips, complaining about how hard a given level is, or even bragging about how awesome they are. Fils-Aime says other games can integrate the Miiverse in similar fashion, "but it'll be driven by the individual developer." They'll be showing other examples of how games can integrate the Miiverse in the near future. As for online networks? Reggie says the same thing: Stay tuned. "And by that I mean, it's gonna be best for us to show the specific mechanics, how it works, for me to sit here and try to explain it to you without some nice visuals is gonna take our entire interview time," he said. "The key message I would communicate to your readers would be this: We have spent a lot of time and invested a lot of money to get our connected experiences right. And so when we highlight how the eShop will work, how the Nintendo Network is going to work, I think people are going to be very pleased." And what about the much-reviled friend codes? Fils-Aime told us during E3 that they will indeed be back, albeit in a more convenient form. But he wouldn't share anything else today. "We've heard the community feedback on friend codes and we're making it dramatically easier for you to connect with your friends," he said. We'll have more from our extensive interview with Fils-Aime in the coming days.